I keep putting this off as I can't think of anything noteworthy to say and now the deadline is almost here….. Last night I wrote out a brief outline of my last 50 years - "been there, did this, saw that, etc" and then accidentally deleted it, which was probably a good thing! Life has been good! I have much to be thankful for - I have a wonderful family, great friends, and good health. I was able to travel when I was young - spent 2 years in Taiwan in my 20's and 6 months in Australia in my 30's. I have always been involved with diverse and intergenerational groups of people (thanks to making my living primarily in the food service industry and some teaching). My beautiful and brilliant daughter is probably the most important thing in my life - she has over the years, and continues to bring me much joy and companionship (no grandkids, however, I was 35 when I had her so I can't complain). Her father and I spent 20 some years putting together a home and family business - we have since divorced, but remain good friends. For the last 10 years I have been working at the Gaylord Hotel and Convention Center, but am thinking about retiring. I miss Colorado and visit 3-4 times a year as all my family lives here - only time will tell where I will end up. I believe we grew up in a beautiful, idealic, almost magical scenario in Boulder, Colorado in the 60's - much has changed since then - and at times I get disheartened about the future - but at heart I am an optimist. Looking forward to exchanging thoughts and ideas with all of you! Most memorable moments from high school: I will never forget the announcement over the PA that President Kennedy had been shot. Then the assemblage of the student body - over which I had to preside as Head Girl (and I have no idea what I possibly could have said at that time) and finally the release of school and the days spend watching events unfold in front of our TV's in our homes. 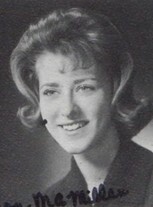 Susie Schenk Jenks added a comment on Profile. Susie Schenk Jenks updated profile. View. 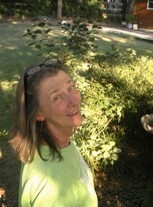 Susie Schenk Jenks joined via Class Connection Facebook app.